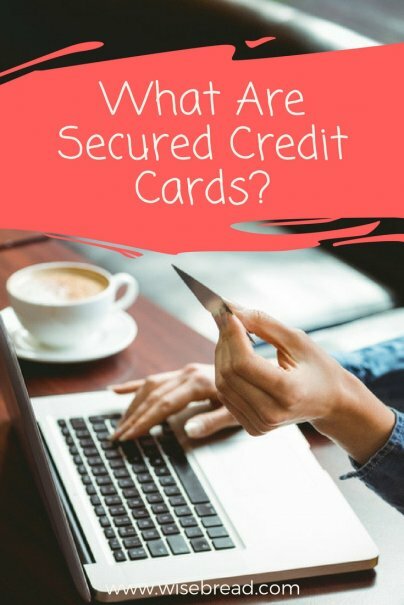 Home » Personal Finance » Credit Cards » What Are Secured Credit Cards? There's a reason plastic is so prevalent as a payment method. Cards are small, convenient, and accepted at a wide variety of merchants. But even though various credit cards, prepaid cards, and debit cards look similar and are used the same way, they are not the same. A secured card, unlike an unsecured card, is connected to a bank account. And a prepaid card is different from both types of credit card in that it is actually a form of debit, and not credit at all. This is a "regular" credit card. You are extended a line of credit, accessible via your card. There is no collateral for this line of credit, so if you don't pay your bill, the credit issuer can't just seize a connected asset. Your available credit varies as you charge purchases and then pay them off. As with a regular unsecured credit card, you are extended a line of credit. However, you have to secure your credit with a savings account. The credit issuer requires you to deposit a set amount of money into a savings account. Some issuers require you to deposit a certain percentage of your credit line, often at least half. Other issuers will only issue you a line of credit that matches the amount of money you deposit. Most secured cards require between $200 and $1,000 as a deposit. This money acts as collateral in the event that you fail to pay your bill. You still make regular payments — with money that isn't held in the savings account — and your available credit rotates as you pay off your purchases. Which Card Type Is Right for You? Those who want the convenience of plastic, but don't actually want to use credit, often use prepaid debit cards. Those whose credit history prevents them from obtaining an unsecured credit card, on the other hand, often use secured credit cards as a way to improve their situation and — hopefully — transition toward using unsecured credit. While they're not for everyone, secured credit cards can be a great tool for those with credit problems. The ability to obtain a credit card when you might otherwise be unable to is the biggest advantage of a secured credit card. Because the issuer knows that your savings account can be seized if you fail to make payments, you are likely to qualify for a secured card, no matter how bad your credit situation. Many secured credit cards can help you rebuild your credit because the issuers report to credit bureaus. 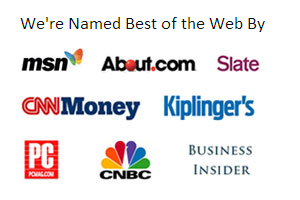 Not all secured credit issuers report to the credit bureaus, however. If you hope to improve your credit score, you need to find out ahead of time whether or not your payments will be reported. You can ask the credit issuer or read the fine print to find out whether or not the card will actually help your credit situation. Regular, on-time payments offer the best chance for you to establish a more positive financial reputation. On top of that, if you show good credit habits for 9 to 12 months, some issuers will allow you to convert your secured credit card to an unsecured credit card. At the very least, a secured credit card can help you rebuild your credit to the point that you qualify for an unsecured card from another issuer. If you do decide to use a secured credit card, there are many disadvantages you need to be aware of. The biggest disadvantage of secured credit cards is the cost. Because secured credit cards are aimed mainly at those with poor financial histories, issuers mitigate some of their risk of loss by charging more to consumers. Secured credit cards are known for their high fees and high interest rates. Secured credit cards often require activation fees of between $25 and $50, and annual fees of up to $75 or more. There are even some secured cards that will charge you between $10 and $50 for an application fee. Additionally, the credit limits — even with the collateral savings account — are often fairly low. In some cases, by the time you pay an activation fee and your initial annual fee, half your available credit is instantly spent. Carry your balance from month to month, and the high interest charges will further eat into the funds available to you. While some secured credit cards offer rates of between 13% and 15%, you are much more likely to be charged 22.9% or more. In some cases, the penalty rate (if you are late with a payment or go over the limit) can be in excess of 30%. A secured credit card may be the only viable choice for someone with poor credit or someone attempting to build a credit history from the ground up. Before applying for a secured credit card, though, it is worth applying for an unsecured card. Most consumers turn to secured cards only when it becomes apparent that the current credit situation precludes an unsecured card. If you decide that a secured credit card is your best option, shop around. Just as there are different offers from unsecured credit card issuers, secured cards come with varying terms and conditions. Most secured credit cards come with a battery of fees. Compare fees, and try to find a card that charges less in terms of activation, application, annual, missed payment, late, and over-the-limit fees. If you know that you will be carrying a balance, apply for the secured credit card with the lowest interest rate. Even a relatively low rate is still high with a secured credit card, but you should do what you can to minimize the damage. Verify that the secured credit card issuer reports to the credit bureaus. Read the terms and conditions, or call and ask a representative before you apply for the card. The point of using a secured credit card is to help you build your credit; make sure that the issuer will report your positive behaviors to the credit bureaus, helping you improve your credit score. Find out how long it takes to become eligible for an unsecured card. Some secured credit cards transition to unsecured cards automatically after you show good habits for a set period of time. Other issuers, though, require you to request the change. Find out what the process is, and how long it takes for you to become eligible for an unsecured account. Your best bet is often to simply call the issuer and find out what your options are. The best secured credit cards will pay an annual yield on the money held as collateral in the savings account. While the yield won't be very much, it's still nice to know that the money isn't just sitting idle; it's working on your behalf. Like many financial products, the secured credit card isn't for everyone. Carefully evaluate your needs, and what you hope to accomplish with your credit card. If you are trying to rebuild your credit, and you can't qualify for other lines of credit, a secured credit card might be your best bet.